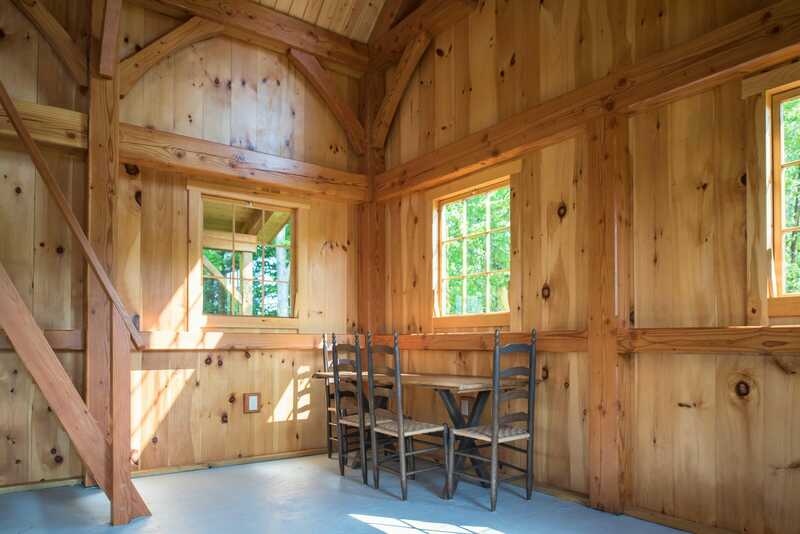 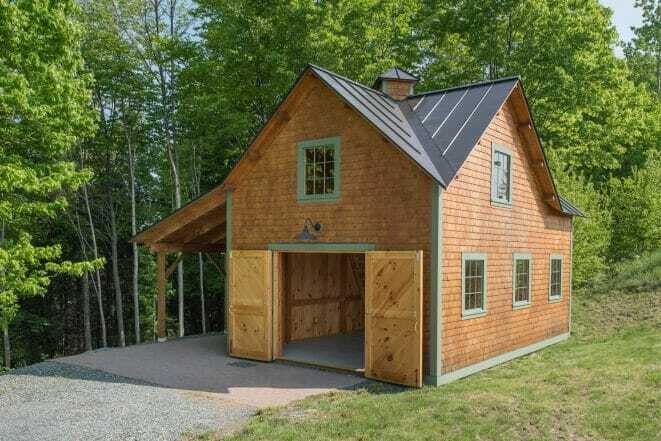 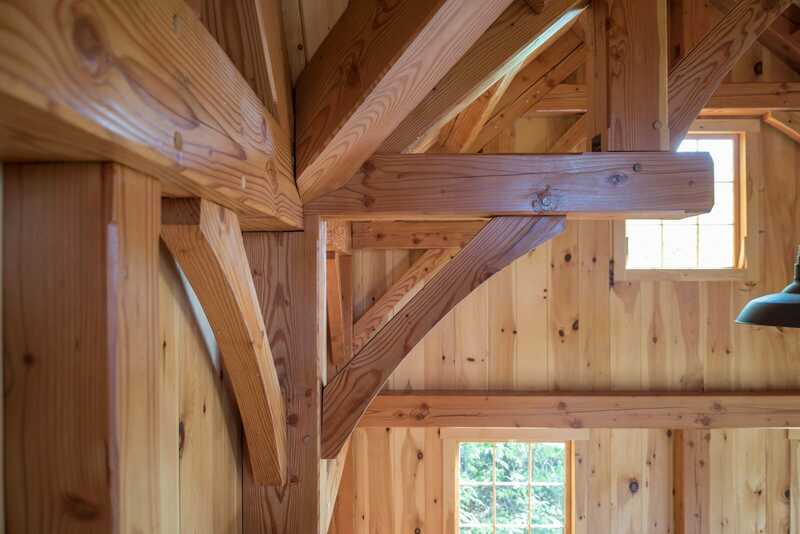 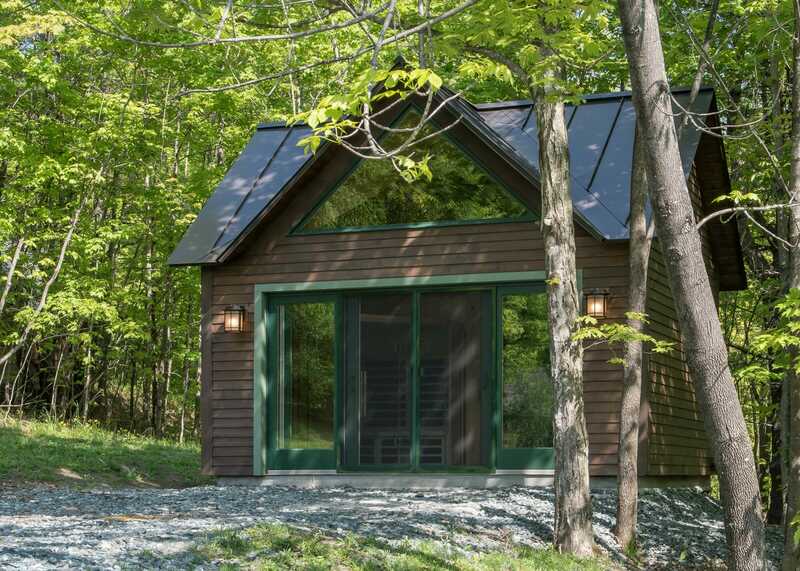 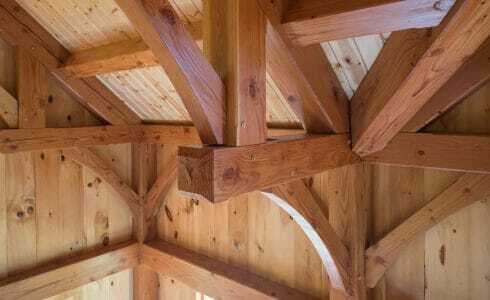 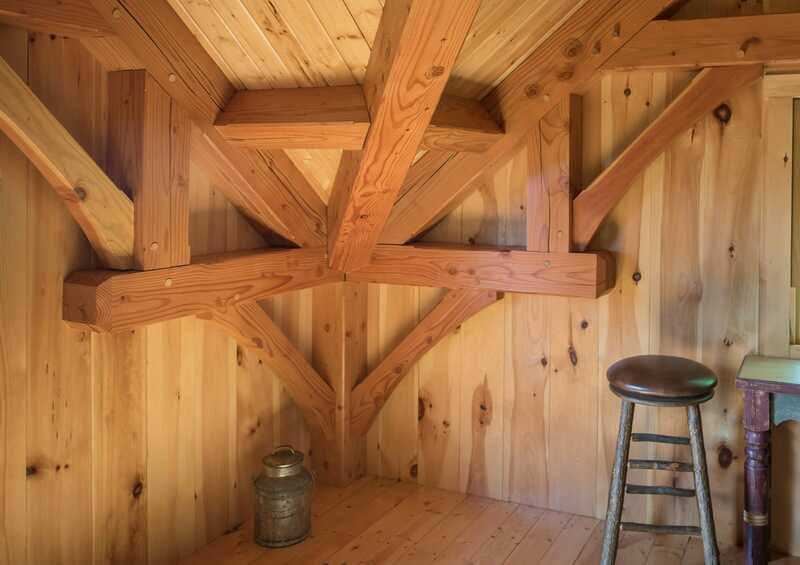 Vermont Timber Works fabricated Heavy Timber Frames for this client for two separate structures. 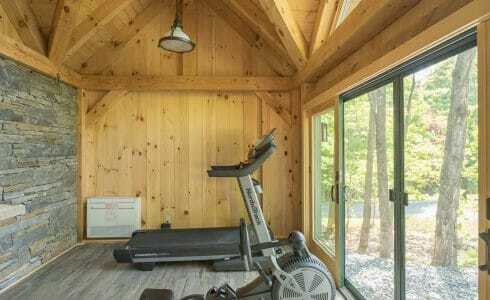 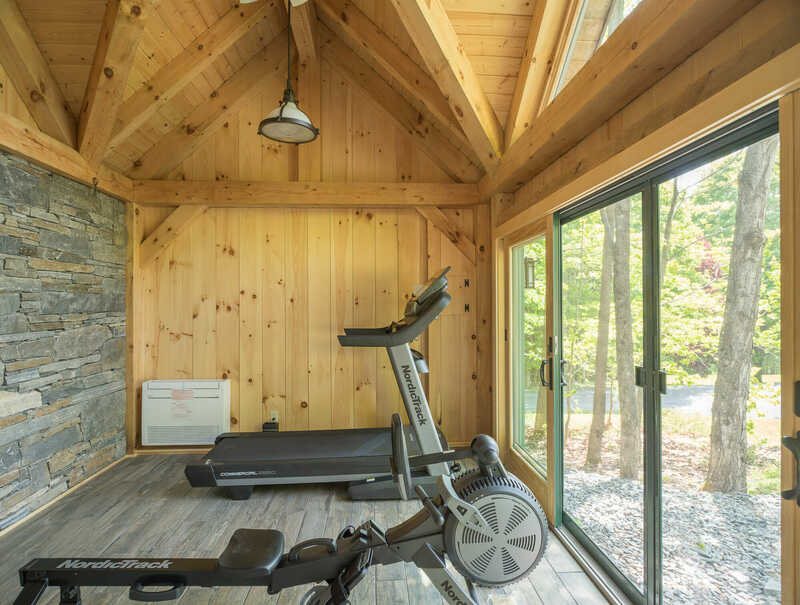 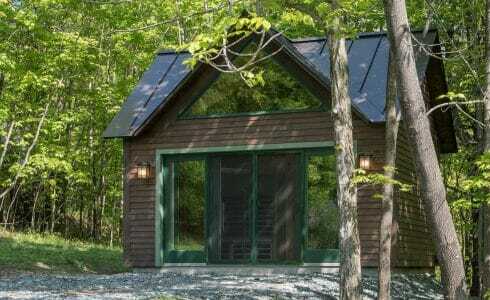 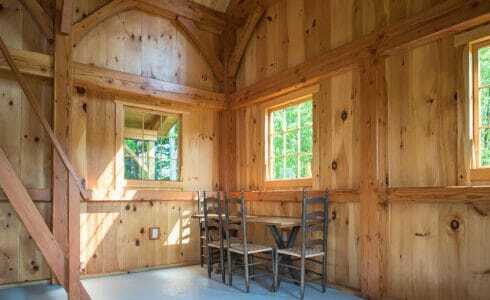 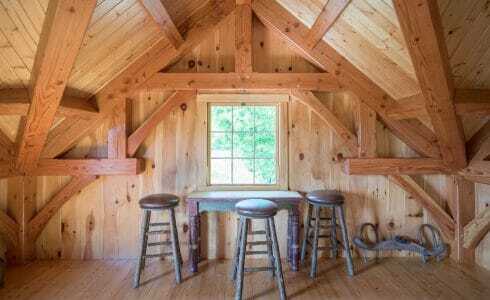 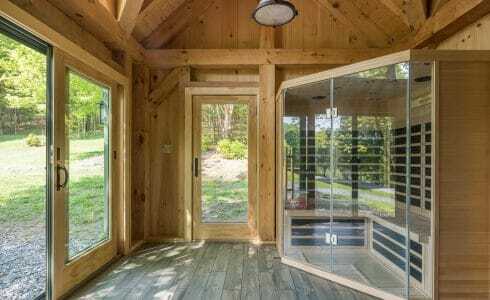 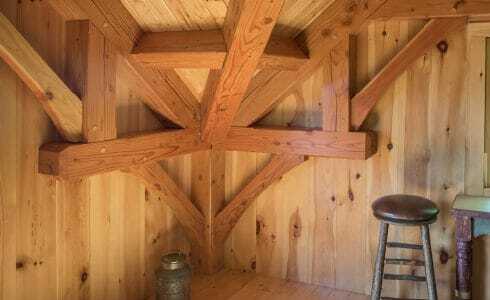 The first building was a small barn and the second structure was for a workout room that included a sauna. 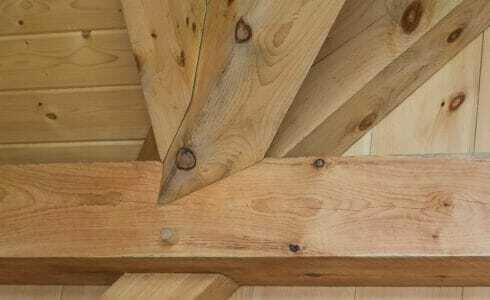 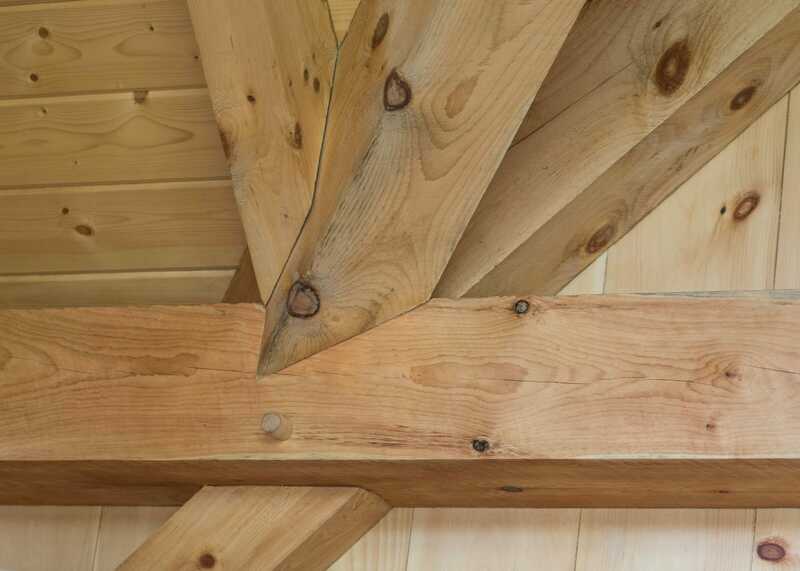 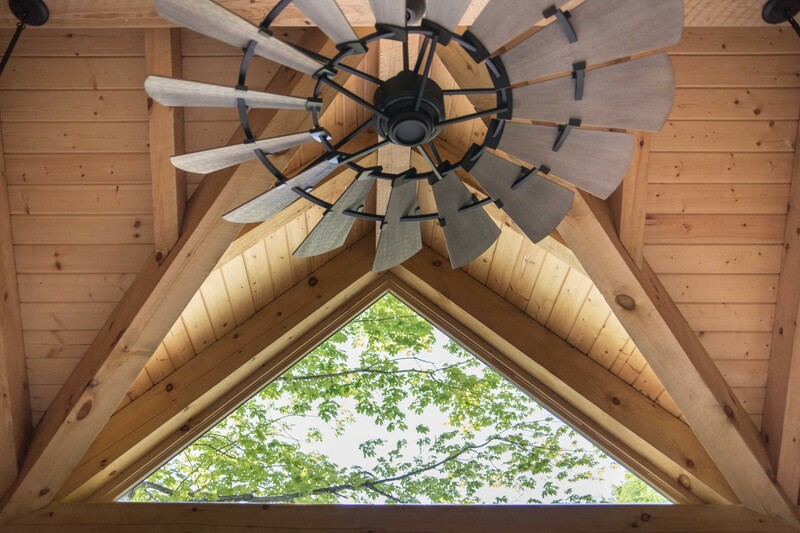 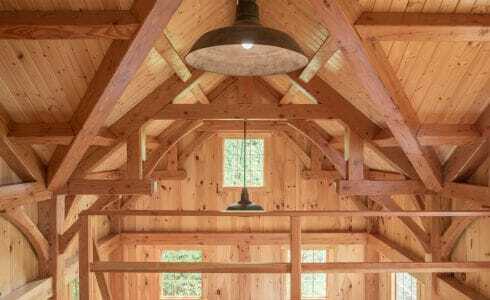 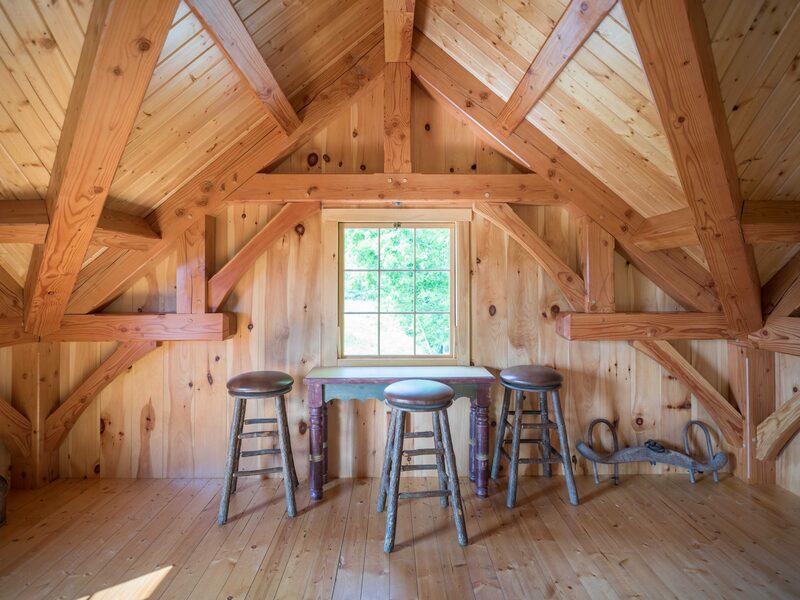 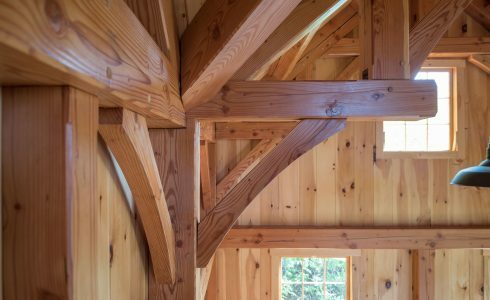 The Ox Hill Barn was framed using planed and chamfered Douglas fir and Glulam.